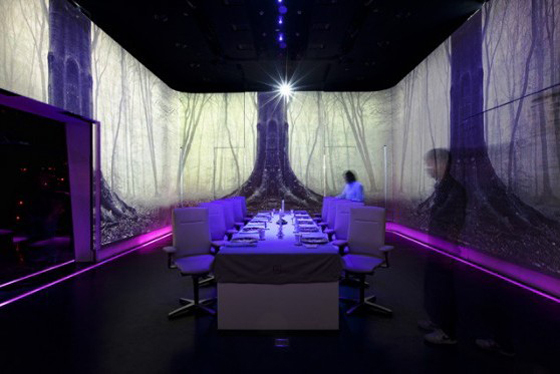 Located in Shanghai, the UltraViolet Restaurant by Paul Pairet is the first experimental, multisensory restaurant of its kind. 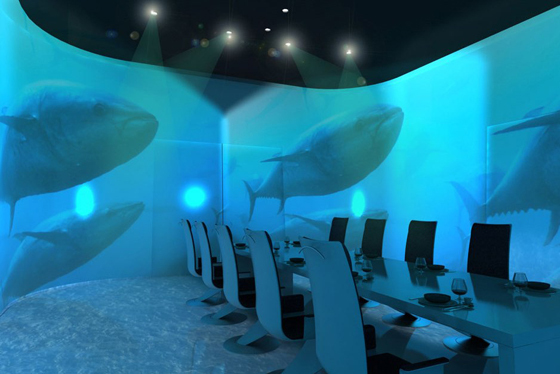 The restaurant offers the ultimate luxurious dining experience by uniting food with multi-sensorial technologies in order to create a fully immersive dining experience. The space itself is small and minimalist. It has no décor, no artifacts and no paintings. When first entering the space, it is stark white. But, that changes as the experience begins. 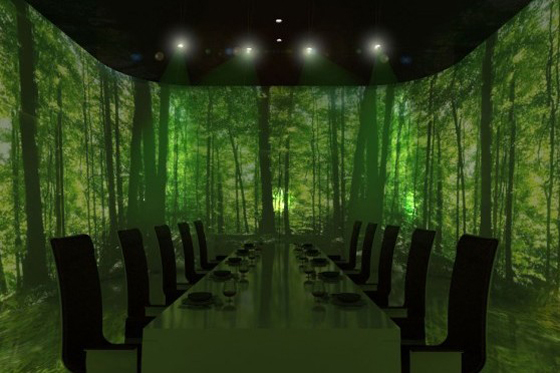 The space is specifically equipped with multi-sensorial technology encompassing lights, sounds, music and scents, along with a cool air blow, and immersive projection and imagery. As each of the 20 courses is brought out to the table, it is accompanied by a corresponding change in atmosphere. Pairet believes that “food is ultimately about emotion.” By creating an emotional connection, UltraViolet creates an experience that serves all of the senses.